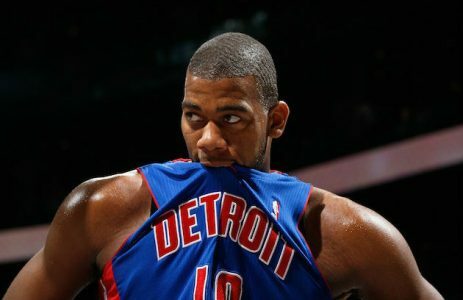 Play On: Detroit Pistons -1. I’m recommending a play on the Pistons on Tuesday. A little Piston revenge is on the menu when they take on Orlando tonight. Detroit is off to a 2-0 start post-Josh Smith. Some were taken aback when Stan Van Gundy cut Smith loose, after all, the forward is averaging 12.8 ppg and 7.2 rpg. But he didn’t mesh in the locker-room and the Pistons look better for it. “I think Friday night (against Indiana) was our best game of the year and (Sunday) was better,” Van Gundy told reporters. “So, we’ve played our two best games of the year back-to-back, but we’ll see. It’s just two games. We’ve got a long way to go, but (Sunday) was a step forward.” While his words may have included a small veiled shot at Smith, the fact is, they’re playing much better team basketball since his departure. Detroit lost 107-93 to Orlando in November, a game in which Smith did not play well. But I like the Pistons’ spot tonight. Orlando is off an intense battle with the Miami Heat last night that saw little contribution after the top seven in minutes played. I also tend to look to play against certain teams playing the next night after making over 50% of their FGA. The Magic nailed 53% of their FGA in last night’s 102-101 win in South Beach and I expect a drop-off tonight. Orlando has covered just 14-of-42 when the line is in the +3/-3 range with Jacque Vaughn as coach and I’m recommending a play on the Pistons on Tuesday night. Scott Spreitzer CRUSHED the books again with his KO win on Texas A&M! He’s on an 8-1, 89% winning gridiron run, including a smoking-hot 5-1, 83% run in the CFB bowls! Now grab Scott’s CFB TUESDAY BOWL BEATDOWN, an undervalued side. Extend the run to 9-1, 90% winners!